“Please look after this bear” reads the yellowed label on Paddington’s neck as he waits, swinging his little bear legs on his worn old suitcase, for a family to provide a home for him. The little brown bear, complete with worn red hat, is familiar to most who grew up in the UK, but probably not here, in tropical Asia. Nonetheless, cultural contexts aside, Paddington is plenty of fun and fluff and all too suitable for the festive season. Following a disastrous earthquake that destroys his home in Darkest Peru, Paddington is forced to travel across the seas. Armed with nothing but a suitcase full of homemade marmalade and his worn red hat, Paddington arrives in the wintry heart of modern day London, hoping that somebody warm and caring is welcome enough to heed the plea on his tag. Sure enough, the Brown family (Sally Hawkins, Hugh Bonneville, Madeleine Harris and Samuel Joslin) and their eccentric housekeeper, Mrs Bird (Julie Walters) shows up and agree to shelter the lonely bear for one night. Immediately, the Browns come across as any other suburban family. Although their oldest daughter, Judy Brown (Madeleine Harris), feels that they’re ‘weird’, they look just like any other family, if slightly loose at the strings. Uptight Mr Brown (Hugh Bonneville) is matched with the lively Mrs Brown (Sally Hopkins), and although their personalities appear to be in mild conflict at first, there is much more than meets the eye. The result is lots of screentime dedicated to plenty of good, clean fun with a group of very lively people, all the more with the addition of a bear in their midst. Paddington bear, voiced by Ben Whishaw, is absolutely lovable. The actor’s deep, honey rich voice is perfect for the fluffy brown creature, filled with childlike wonder and wisdom as he struggles to adapt to urban (and human) life. It’s hard to say if Paddington would be the same with a different actor, but it is undeniable that Ben Whishaw’s voice is what gives Paddington life. As with any good story, there must be an antagonist. Paddington’s journey to finding a home is obstructed by Millicent (Nicole Kidman), a taxidermy specialist in the British Museum. Sleek and lean, Millicent feels like Cruella de Vil brought to life tenfold, now with the Browns’ grumpy old neighbour, Mr Curry (Peter Capaldi), and the entire Mission Impossible inventory to help her achieve her nefarious goal ‐ to turn walking, talking Paddington into a dust collecting specimen. Naturally, Millicent oozes villainess from head to toe, but not with the cartoon like awkwardness that many family film antagonists are. Nicole Kidman plays her character with solemnity and grace, and it is glorious (if a little terrifying) to watch. 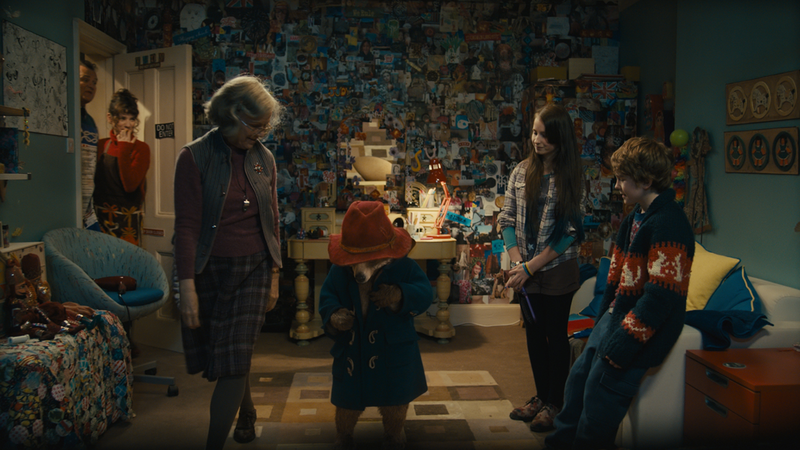 The humour in Paddington is well conceived, with a mixture of slapstick (Paddington’s misadventures in the Browns’ bathroom) and situational (when Mr Brown is forced to make small talk with a very interested receptionist while dressed as a janitress), enjoyable no matter your age. The film’s family friendly message is loud and clear: a home isn’t simply a place to live. Paddington reminds us that a movie doesn’t need to be deeply philosophical or gut wrenching to be good. The Brown household, and Paddington’s adventures illustrate this in a brilliantly lively way, with bright colours and Wes Anderson-esque linear storytelling, and goodness, don’t we need a little cheer this season? We hope you, too, have plenty of fun with your family, friends and Paddington bear this December.